This a review that I wrote of Paul McCartney’s show at the Bercy Stadium in 1989 and which was part of his world tour. I had it rejected from two or three publications, and I’m not entirely sure why, either for political reasons, or because they did not trust my musical authority or they had their own critics – who did not write about the show – or because they did not like McCartney. Really don’t know what the reason was. But I had to give up pretty quickly since it was a review a show and could not run weeks later…. On the other hand, it was pretty historic as a world tour, and when we look back now at a time when this concert was further away than the actual Beatles breakup and he is STILL performing!! It was twenty years ago this year that St. Pepper told the band to break up. But Beatles fans and their grandchildren will be amazed to discover that Paul McCartney, approaching half a century in age, is capable of bringing back the old songs as if they were lifted directly from the original studio tracks. McCartney’s world tour is an advertisement for himself and his nearly thirty-year career. How fortunate for the audience. The show begins with a film on a three-panel screen above the modest stage set. It’s an original film made for the tour by Richard Lester, the director of the Beatles in A Hard Days Night (1964) and Help! (1965) and the more recent The Return of the Musketeers (1989). The film charts the 25 years of Paul McCartney since the Beatles and parallel world events in sound and image–all in eleven minutes. Nixon, Vietnam, Let It Be. Right up to China in 1989 and McCartney’s Flowers in the Dirt album. Pretentious? Maybe. But enjoyable. Out comes the band–a relief for those who thought they were getting a film instead of the man himself–led by McCartney dressed in a black and red suit of some kind that cannot been seen by anyone sitting too far from the stage. Rock concertgoers have become accustomed to expecting to see their idols on the big screen above the stage from just about anywhere in the vast stadiums where thousands gather. Those who took their time coming to Paris’s large Bercy stadium to see McCartney from the back rows were disappointed to discover that despite the large screens used for the film at the beginning, no video image of McCartney was available during the show and they were constrained into straining their eyes and watching him en direct. The advantage to this method, however, is that distant spectators had no way of knowing from the sound alone that the little man on the stage was an ex-moptop and not the original young man who played such classics as Yesterday, Hey Jude, and Let It Be. At forty-seven years old McCartney hit almost all the notes in the same sweet voice as twenty years ago. Even if the notes were too high the professional new how to handle the problem: just let the audience sing the high notes. A full Bercy stadium sang along on the classics and filled in when McCartney cut out for a word or two in Yesterday and Hey Jude. A quadraphonic suplementary speaker system dangled from the ceiling in the four corners of the stadium and blasted out the occasional sound effects such as the hissing jet engine sound that preceeds Back in the USSR. Music to the old favourites was handled adept by McCarntey’s current line-up of musicians who were mostly born about the time he and the Beatles first started hammering out their stuff in Liverpool basements. On guitar was ex-pretender Robbie McIntosh; Chris Whitten on drums; Paul Wickens helps out Linda McCartney on keyboards; and the yellow-haired ex-Average White Band member Hamish Stuart is on the other guitar. by playing the Fats Domino classsic Ain’t It a Shame on a grand piano in the center of the stage. Beatles fans’ children might be surprised to see for the first time a set piece dimension to the Beatles’ sixties concerts: more than once during the show women broke through the security men around the stage and ran up to kiss the idol. They were quickly drawn away and the show went on without a break. McCarntey’s wife Linda did not seem miffed and continued silently to play in the back line of the stage on her platform. For more than two hours the band played without a break lasting more than the time needed for McCartney to say Merci mon ami or to throw his many white sweat towels into the crowd before the stage. Four encores were barely enough to sate an audience that was more than recompensed for the thirteen-year wait since McCartney’s last tour in 1976. After the show the advertisement for the cute Beatle continued in the form of a slick colour program that was distributed for free to exiting fans. The program is almost entirely a defense of McCartney by McCartney of his attitudes to the Beatles and his relationship with John Lennon. McCartney dedicates one song in the show to the memory of John. The fifteen-country world tour is not only an advertisement for one of the most talented popular musicians alive, but is also intended to spread the word of the international environmental organization called Friends of the Earth. Paris 9th, 10th, 11th October. 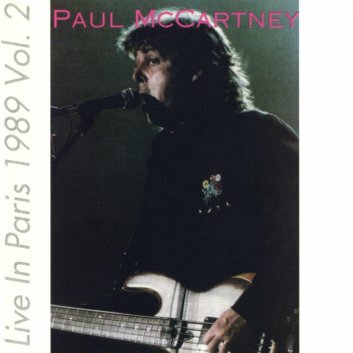 I just uploaded a new Paul McCartney bootleg, from the Paris concert on Oct 9th, 1989. It’s an audience bootleg, not VG but valuable, as there is no other copy of this show on internet. I thought you might be interested to offer it on your website for all the fans who were at this concert ! Hello Steph, i’am really looking for this 9 october boottleg in paris of MACCA. I only actually found the 10th october one. The link you posted seems to be wrong, can you please fix it. Funny reading this, as I was born in Paris on October 11th 1989. 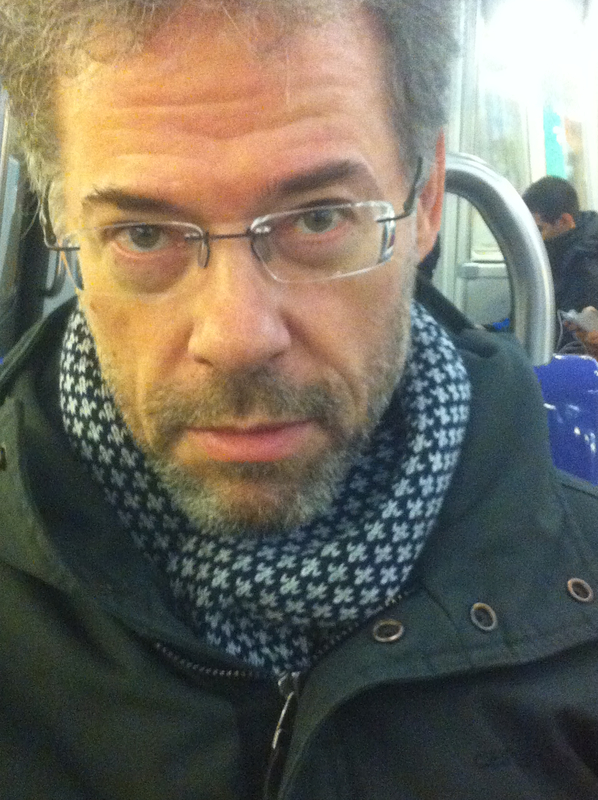 Hope to talk to you soon at one of the open mics in Paris, and thanks for the video at La Féline!